On the read of the putt, it MAY have been a close interpretation, but that is what officials do. If I had 50¢ for every close interpretation I made on the soccer field as a FIFA and NCAA referee for decades, I would be very comfortable putting money down for any set of irons or new driver (Ping G410) I desired. I do not know if they had been warned earlier. If they had, then this is even a bigger issue. 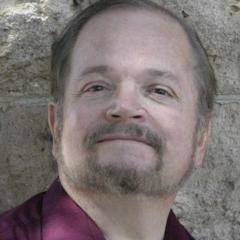 Even if not, they appear to have intended to push the rule to see its reach. While we all debate, I am sure those involved will adjust. And the officials may debate if it were indeed too close to call, But they, too, will move on. Though, my experience in making calls on the field also proves the point that debates by spectators is fun; And, they will remain so as long as they remain civil! 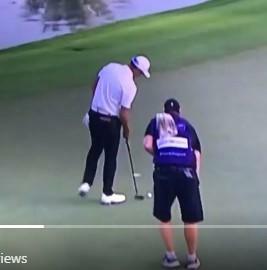 So, there's the new rule about caddies not standing behind a player as they begin to take their stance - AS SOON as this caddy sees his man step to the ball he's moving out of the way, this was an absolutely GARBAGE ruling. The rules are pretty clear, AND the player had the ability to back out and start again. He didn't. The caddies will learn pretty quickly not to be standing in that spot when the player is getting ready to play his ball. And, in general, I like how the European Tour handles penalties. They simply hand them out, when due, just like slow play penalties and other things. They actually enforce the rules as written, instead of the "soft" way the PGA Tour officials tend to handle them. Was the caddie on or close to an extension of the line of play? Yes. Had the player begun taking his stance? Yes. Personally, I don't care if they had been specifically warned or not. These rules have been available for review for months. I agree with @iacas, this was a correct ruling. If you look at the illustration in the rulebook, you'll see a nearly identical view, with a large red X at the bottom showing that it is not allowed. It is interesting to me that the Euro Tour issued a statement agreeing that the penalty was appropriate, but apparently wants some "leeway" for its officials. I think most of us would prefer rules that draw clear lines, and the Tour wants to add a gray area to this specific rule. There should be no discretion of the refs to interpret the rules other than word for word and intention of the governing bodies. There is no need for rules officials to interpret the rules based on sympathy of the situation. What if a caddie whispers to the golfer, "Your aim is spot on." They could easily just lie to the rules official about it if brought up. Intent shouldn't matter. It's nearly impossible to prove intent. It is my strong belief, however, that the fact there is no discretion available to our referees when implementing rulings such as this is wrong and should be addressed immediately. If we're only going to look at whether there is intent or malice for a rules violation, count me out. To take a ridiculous example, I didn't intend to hit my ball into the water, so why should I get a penalty? As @saevel25 says, you're leaving the door open to players lying a lot more when assessing intent. Also, that last sentence. Talk about a reach. I doubt the global appeal of golf is effected at all by caddies lining up players. 95% of players don't have caddies, period. Plus, it looks really bad to have to rely on your caddy to line you up. And I don't know how the integrity of the game is something to balance against promoting its global appeal? Expected better from the European Tour, to be honest. Spot on. They had enough pre knowledge to understand the limitations to their way of golf PRIOR to the tournament, and should have adjusted their methods before then. As I stated earlier it would appear to me as a chance to push the new rule a bit. I hope the caddy said to Li at least "my bad". I disagree, the caddy started walking away as the player began to step in. The actions were simultaneous. This is almost identical to the "don't" illustration in the rules. Right foot stepping in, putter near the line, caddie still behind the ball. You can see his left foot and leg lifting up to take a step away. 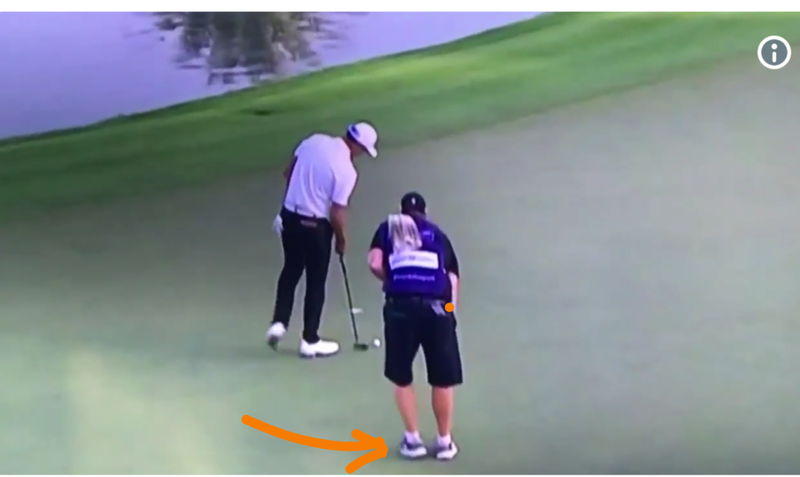 Colin, c'mon man… The caddie is clearly "on﻿ or close to an extension of the﻿ line of play behind﻿ the ball﻿" while the player is "beginning to take his stance." So what if his leg is lifting up? He's "on or close to" that line. Amen. The fewer gray areas, the fewer judgement calls required from players and officials, the more consistently the rules can be applied. It makes me happy to read this. Almost every rules controversy should start with this line. Thank goodness. Pelley’s statements were disappointing to say the least. As the rules are now drafted, I agree that a penalty was correct. However, I disagree with the words that I have highlighted in bold - my understanding is that you cannot avoid the penalty by backing off the shot and starting again. my understanding is that you cannot avoid the penalty by backing off the shot and starting again.